If you want it done right, then, say it with me, you got to do it yourself! And I’m not talking about planning a nice little Saturday, you know, at Home Depot, maybe Bed, Bath and Beyond. The Workshop, nestled in the Western Addition, is the 7th period elective class for grown ups. 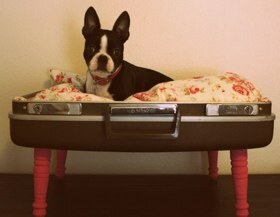 Rouse your hibernating talents and sign up for one of their quirky DIY classes… including Suitcase Pet Beds, Sunday Hangover Mixology, Rock’n'Roll Sewing for Dudes, Zip Tie Chandelier, and Pimp My Ikea: Lack Table. 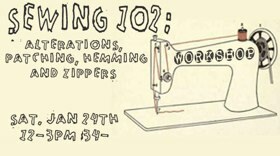 This ain’t your grandma’s sewing circle, although she might love a handmade gift from the DIY Valentine class. How thoughtful! Make the leap from simply ordering a sophisticated cocktail to concocting one by experiencing the Farm Fresh Cocktails or a Friday night Mad Men Cocktails. There’s even a P.E. offering (physical education, not private equity), Heavy Metal Aerobics. 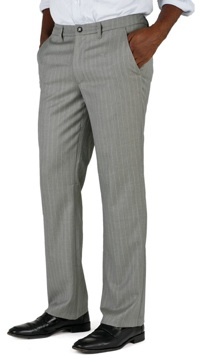 Bonobos is the home of awesome-fitting pants. Available online only. Send an email to Mister Archer to request a one-time invitation for $50 off your first order. Receive free shipping when you mention "Mister Archer" in the comments for your purchase! Note: Discount will be applied at the time of payment processing. They say you can't judge a book by its cover... but that was long before there was the magical Kindle 2 which absolutely requires a cover for safety and style. The Kindle 2 might not have come into this world naked... but pretty darn close. Amazon's prepackaged cover would've been great for a hotel pad of paper and a pen. But job numero uno for a cover is safety. (safety never takes a holiday.) So for a $300+ device, I require a durable cover that will protect my Kindle if I accidentally gravity test it. The Bobarra Thoreau cover has 4 elastic bands securely latching my Kindle into the cover. Thoreau once said that “books are the carriers of civilization.” But when civilization needs to carry their book, they don't want to be worried about dropping them. For someone who is always running around, I sincerely appreciate the safety of the Thoreau. But I'm not one to compromise on style. 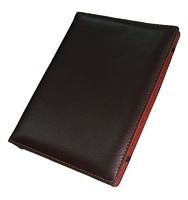 I love the sleek brown leather with fastidious stitching around the edges... professional and cool—I've gotten a few inquiries about where I purchased this cover while riding the bus around town. Overall, I am very happy with my Kindle 2 and love my Thoreau cover.